Concerned about household water quality? There are a number of ways to approach the selection and installation of a water filtration system. Which is best depends on your needs. In the United States, we are fortunate not to have to think much about water quality. Most of us simply turn on the tap and cook, clean, or bathe with whatever comes out. Due to a variety of factors, however, your tap water may host problems ranging from a bad taste or foul odor to unseen (and unhealthy) bacteria. If you have any reason to doubt the quality of your well water or municipal supply, then it’s time to give serious thought to installing a water filtration system. According to Daniel O’Brian, a technical expert from online retailer SupplyHouse.com, there are warning signs to watch out for. These include rust stains or scale buildup on kitchen and bathroom fixtures as well as other similarly obvious clues you can see and touch. But there are also more subtle indications of poor water quality. For instance, when showering, do you ever have “a hard time developing lather with soap”? If so, O’Brian says impurities may be to blame. “Calcium, iron, chlorine, sulfur, lead, and decaying organic compounds” are only some of the impurities that people seek to banish through filtration. Basically, water filtration systems remove impurities in one of three ways. 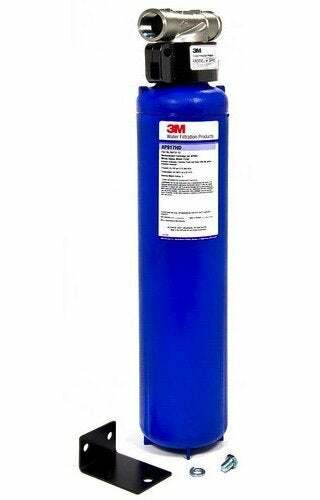 Some products physically block the passage of contaminants by means of a filter medium. Others filter by means of a chemical process. Still others work via ultraviolet light. No matter the design, water filters tend to come in either a plastic or stainless steel housing, and though some filter media last comparatively longer, all lose effectiveness over time and must be replaced periodically. You may be familiar with pitcher-style water filters or devices that attach to the faucet. In homes with known water problems, however, you may wish to go a step further. Of the multiple options that exist, point-of-use filters are perhaps the most common. Installed under the sink, such products feature either single- or multistage filtration. Similar in-line filters hook up not to the sink, but to the hot water heater, enabling you to bathe in clean, pure filtered water. There are even filters designed specifically for appliances with ice and water dispensers. The most comprehensive solution is a whole-house filtration system, installed at the point where the water supply enters the home. By intercepting water right before it reaches your home’s plumbing, whole-house systems go a long way toward protecting pipes from the damaging effects of hard water, scale, and the miscellaneous chemicals and compounds—such as acids and tannins—that can spell trouble for the critical components of a plumbing system. 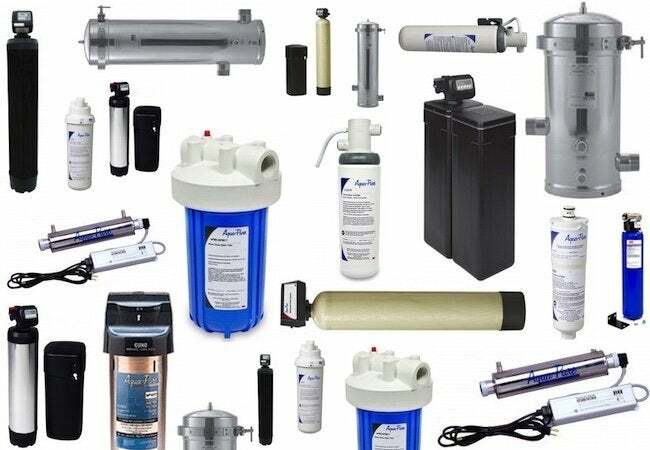 Different types of water filters and media are best suited for different types of water problems. For example, hard water responds best to an ion-exchange softener. For water that tends to have sediment, reverse-osmosis systems are recommended, as these employ a semipermeable membrane to prevent particles from moving beyond the filter medium. 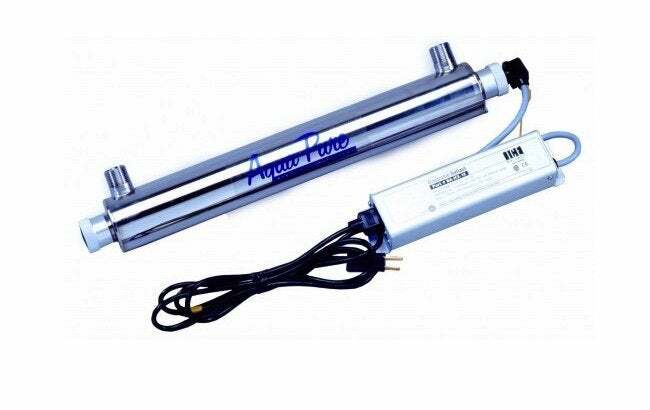 If the goal is to target organisms in the water, ultraviolet filters sterilize bacteria and viruses, as do chlorination filters. For improved taste or to eliminate odors, concentrate on oxidizing or activated-carbon filters. Perhaps the best option of all is a multistage water filter, which combines several technologies.